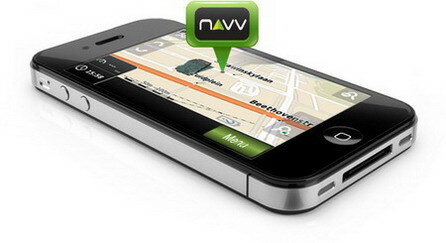 We've recently gotten a press release from NAVV team that lets us know about their new iPhone navigation app. In a short glance NAVV is an ‘Out-of-the-Box’, ready to use, on-board, Turn-by-Turn navigation application for those who are interested in just that; simple and efficient navigation from A to B for their iPhones. Press release follows after the jump. They were lost. They were found. Now you benefit. Educated individuals whom chose to explore a path less followed primarily inspire NAVV. Their product is essentially the culmination of every traveler’s life experiences. To harness the complexity of new experiences, synthesize and collate them into a solution which facilitates the world community at large is the foundation for their existence. Inspiration for their software stems from many places; however a large influence is students travelling on Erasmus. These students are young with passion and rich in experience. After consulting with many who have travelled throughout The Mediterranean, Greater Scandinavia, Apennine, The Iberian Peninsula, as well as other picturesque locations unfrequented by run-of-the-mill university students it was clearly a reconfirmation of their initial assumptions. While trekking to a new city each week, a new country each month, the students experienced many average travelers head-scratching moments. These included ‘where am I?’ dilemmas accompanied by following poor directions explained in inaudible gestures or a foreign tongue. In this traveler’s qualm, NAVV saw opportunity. An undertaking to provide a navigation and orientation solution to the international community was agreed upon by the established personnel. As you may see, becoming the mobile application provider NAVV is today was a natural progression. With a hunger for appeasing all users whom are willing to attempt a born entrant, today, NAVV hits the ground running. NAVV is an ‘Out-of-the-Box’, ready to use, on-board, Turn-by-Turn navigation application for those who are interested in just that; simple and efficient navigation from A to B.
NAVV Navigation Application Stands for ‘Simplicity & Efficiency’ and seeks to offer an innovative product solution that many users will rely on every day. We provide a professionally developed navigation application that is trustworthy and supports a wide range of needs. NAVV software provides its user with a functional interface that allows powerful and accurate navigation with ‘no frills’. i.e. ‘Everything you need, nothing you don’t’. We are hosting a plethora of contests to facilitate all interested parties an ability to acquire a license of NAVV for FREE. The contests with cooperating sites and respected partners are listed below! Additionally, visit our Twitter and Facebook pages to interact with NAVV representatives in real time and enter to win FREE NAVV software. Wondering how these travelling inspired tech junkies and mobile navigation application providers solved the ‘traveler dilemma’?! Visit our website for more information or drop-by NAVV in the Apple Appstore to check us out. 0 comments on "NAVV navigation for iPhone debuts – 4,99 EUR flat rate"